If you have a 4.5kW generator (or greater), then the AC electric model is your first option to consider. Our high volume, high pressure pumps produce large quantities of superior quality water in a short period of time. Ideal for the recommended recovery ratio of your membranes, longer service intervals and extended water maker life. This system is expandable to increase your fresh water production from 80 litres per hour to 240 litres per hour by simply adding extra membranes. 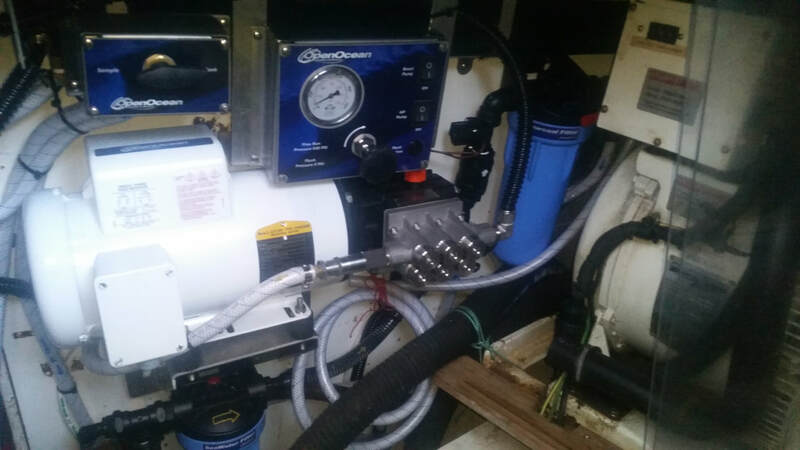 All Open Ocean water makers have manual flush systems as standard. However, an automatic flush system is available as an option. The electric model is the easiest model to install. Units are modular in design allowing you to fit system components in available spaces on your boat.